This time of year, your middle schooler is likely getting excited about the holiday break. They may be daydreaming about going to see family or spending their days sledding with friends. Your student may also be feeling over or underwhelmed by their lessons or classes this time of year. 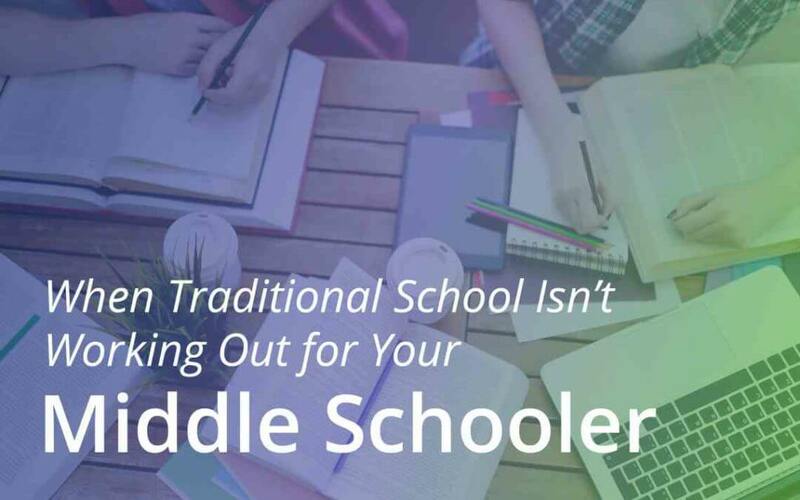 Some middle schoolers struggle with the day-to-day demands of traditional school and long for a different environment. With a very general curriculum, many students either feel bored by their lessons, or they fall behind. There are many reasons your child could be feeling off, but if it’s to do with their school environment, there is a solution that could be worth exploring. The benefits of online school vary from student to student, but many times when a traditional school isn’t quite the right fit, it’s simply because a one-size-fits-all education doesn’t necessarily really fit all students. Here are a few benefits to online schooling if you’re considering a change for your middle schooler. The general primary school core curriculum for has been relatively unchanging over the years. Each grade has a set of lesson plans and exams that need to be taught in a group setting. The problem that many students face with this kind of education is the feeling that they either don’t fully grasp what they’re being taught or that they are longing for more challenging lessons. With an online school like BlueSky, students are included in the creation of their lessons. The teachers have the freedom to learn from their students and create lesson plans that will challenge, but not frustrate their students. Students work together with parents and staff to select a program that will lead to success based upon their individual learning style. Programs range from group pace to individual pace to adhere to students that have strict schedules or other obligations. With the understanding that every single family is different, it’s not surprising that many students and families find that they desire a more flexible form of education. Online schooling allows access to resources 24 hours a day so that students are free to complete their work during their most productive learning hours. One thing that is difficult to accomplish in traditional public schools, is personalized attention to students. This is due to a multitude of contributors including lack of budget, and lack of time. That’s not to say that public schools don’t make a concerted effort to give personal attention to their students, many public schools truly go above and beyond to fill this need for their students. If your student isn’t getting this kind of support, however, it’s important to give them that attention they deserve. Online schooling can come with the stigma of too much flexibility and a higher chance of students falling behind because of having to self-police. When almost the opposite is true, we assign both an advisor and a social worker to each student to help with anything they are struggling with, in or outside of school that can be affecting their work. These professional advisors and social workers check in on students on a consistent basis to create a trusting and effective relationship that will help them through every aspect of their schooling. Something that has been missing from our general school systems, is emotional support and awareness. Stress is something that can affect students on multiple levels. Academic performance tends to be the first thing to be affected, but it can also lead to relationship strain and risk behavior if left unaddressed. At BlueSky, we provide optional support groups that relate to things like mood, trauma, anxiety, and stress reduction. These small sessions are designed for students that are struggling with specific psycho-social issues. They help them gain a better understanding of what they’re feeling and how to best deal with it. Supporting our students in every way is a passion for us here at BlueSky. We adjust our methods based on student-need, so we can be sure that we are serving each student in a way that will benefit their particular learning style. If your student is struggling in a traditional school and you’d like to learn more about what online school can offer, learn more about us here!